Q. I see a variety of different clothing racks on your website. Which would be ideal for a boutique? 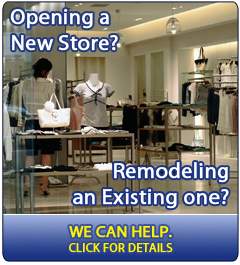 That depends on what kind of store you are looking to set up. We have three styles: Old World Series, Pearl Series, and Majestic Series. All three of these lines are attractive, functional, and affordable. Our Old World Series gives a classic look to your store. 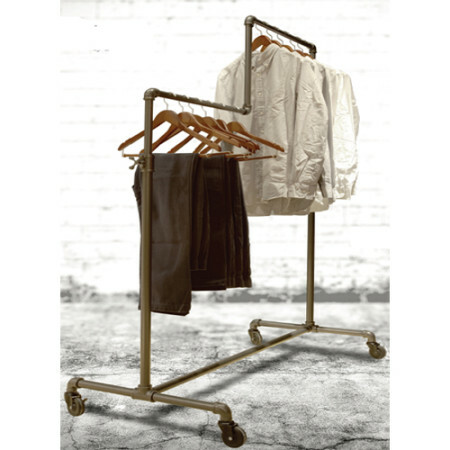 This line features a hand brushed copper finish with S shaped accents at the bottom of each rack. Our Pearl Series is great for a boutique geared towards children and young adults. The pearl finish gives off a translucent glow, drawing your customers to the garments you are displaying. The Majestic Line is for upscale boutiques. If you are interested in a fresh, contemporary and more feminine look in merchandise displays, you will appreciate the majestic line. In retail, creating the right look is one of the key ingredients to sales success. Smart use of displays and accessories can help put your best merchandise forward. As you put together your retail displays remember that you want to make a positive impact as soon as a potential customer walks through your door. That first impression will often prove the amount of time they will spend in your store. Keep in mind that most people only give you one chance to make a good first impression. Also, it takes just seconds, a glance for them to form an opinion about your store. When merchandising, pay careful attention to everything from lighting and store layout, to traffic flow and retail store signage. Strategic product presentation will also help you make a great impression. One of the best ways to attract your customer’s attention quickly is to use face-out presentations. Face-out merchandising means having the front part of a product facing the customer. If you sell books or music, it means titles and CDs are displayed on shelves or easels, with the covers facing the buyer. Showing just the spines of books or CDs in a bookcase, requires the purchaser to be motivated to work hard to find anything they may want, let alone catch their attention to even want to try! If you’re selling clothes, face-out merchandising is even more critical. Don’t hide your merchandise by making the mistake of just hanging clothing on racks where only the edge of a sleeve or shoulder is visible. For a shopper, it’s like having to dig through a closet aimlessly with no direction. Not many customers would bother sifting through this type of display without any eye-catching triggers to entice them. Think about using mannequins and forms to display your clothes. They offer one of the best options for an attractive face-out presentation. It’s proven that “people like to see clothing on people”, to help visualize how clothing will look on themselves. Place clothing forms near folded items to entice customers. Mannequins are typically used to attract attention in display windows and inside to lead buyers to a particular section of a store where often racks of similar clothing set-ups. 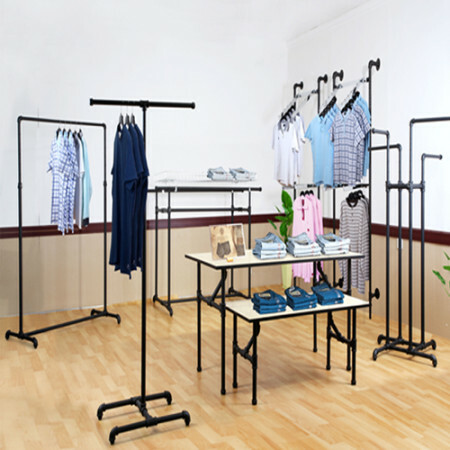 If you don’t have the floor space or budget for mannequins, a great alternative is to use apparel racks and accessories. 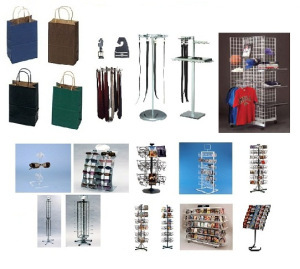 Many stores use apparel racks and accessories that are designed to create effective face-out merchandising. 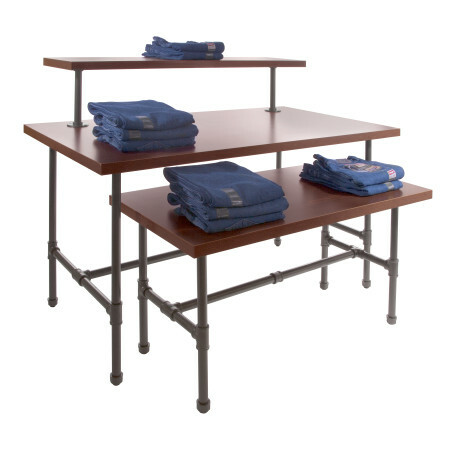 Two-way racks and four-way racks with face-out arms present are compact, perfect for the center of the floor. Spiral racks offer a cascade effect from which you can hang and feature the same item in different colors. 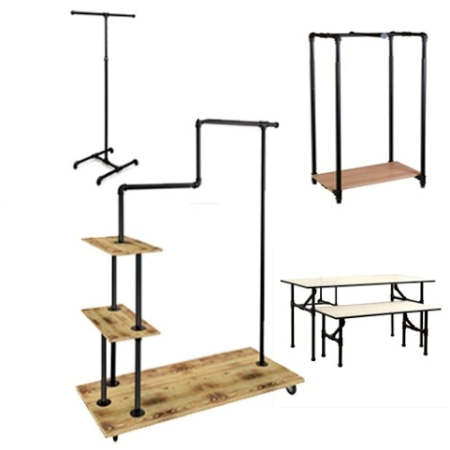 When capacity is an issue, supplement your round clothing racks, and double bar clothing racks with clothing rack toppers. 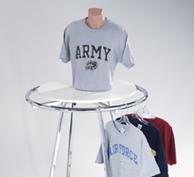 Made of wire, glass, or wood, you can display face-out signage or forms on top of these rack toppers. On walls, use straight-outs, waterfalls and slant arms. Unlike shelves straight-outs, waterfalls, and slant arms give you the opportunity to practically “reach out” to your customers. When it comes to merchandising, don’t be shy, grab and entice your customers with face-out displays.